Down by the edge of the lake a crowd of people were standing. They were watching a little boat that was slowly coming toward shore. In the boat were Jesus and some of his friends. Flap, flap, went the sails in the wind. Splash, splash, went the waves against the side of the boat, as the boat came closer and closer to shore. 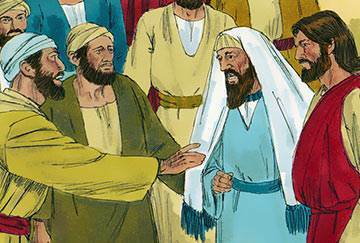 In the crowd of people who were waiting was a man named Jairus. Jairus was a rich and important man, but now he was sad and troubled. At home his only child, a little girl just twelve years old, lay very sick. Nothing they could do made her any better. Once before in this very town a little boy had been sick. 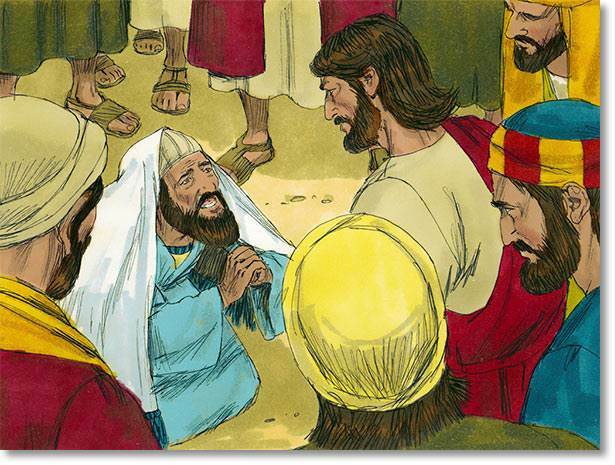 The boy’s father had gone to find Jesus. And Jesus had made the little boy well. Jairus remembered this. 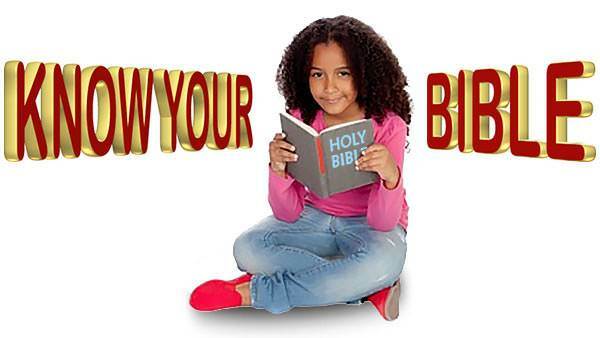 So when his little girl was sick he too hurried to find Jesus. He watched the little boat anxiously. Flap, flap, went the sails. Splash, splash, went the waves. But the little boat seemed to move so slowly. 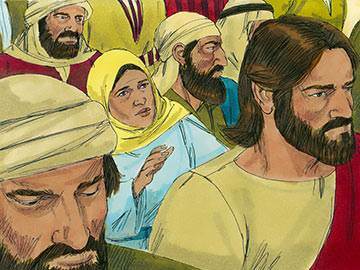 “Perhaps Jesus will be too late to help my little girl,” thought Jairus sadly. But at last the boat landed, and Jesus stepped out. 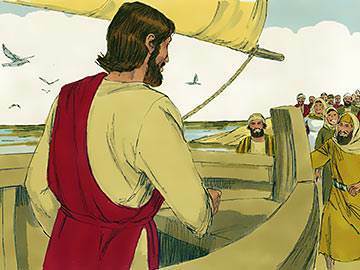 Jairus hurried right down to the water’s edge. There he knelt before Jesus. Jesus was tired. He had a long hard day. 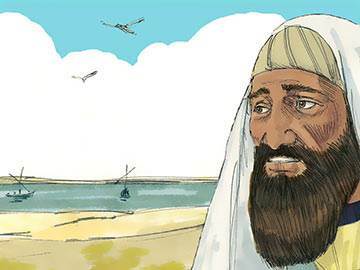 But when he heard that a little girl needed him he forgot he was tired and he started with Jairus toward his home. “Hurry, hurry, hurry,” the father kept saying in his heart. He was so afraid it would be too late when they got there. But it was hard to hurry. There were such crowds of people in the streets that wanted to see Jesus, their Friend, that everyone had to go slowly. Poor Jairus! It was too late after all! How sad he felt! But what was Jesus saying to him? 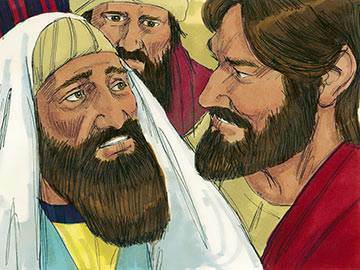 The anxious father looked at Jesus’ kind face. He remembered how he had helped so many people. And he believed that somehow Jesus would help them in their trouble. 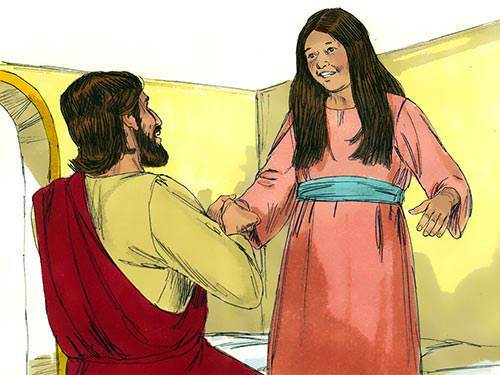 When they came to the house Jesus asked to be taken to the little girl’s room. 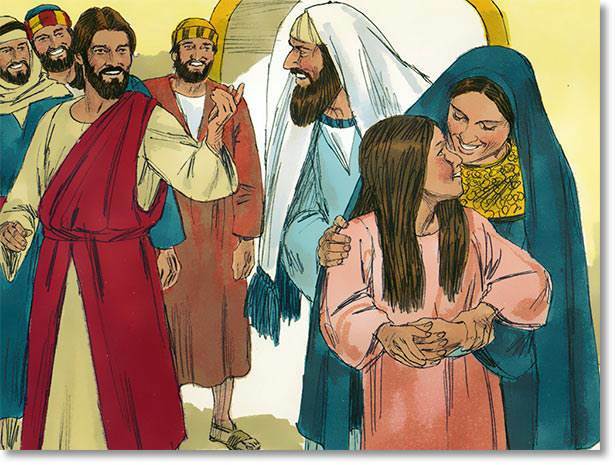 He took with him the little girl’s father and mother and three of his helpers, Peter, James and John. He would not allow anyone else in the room. 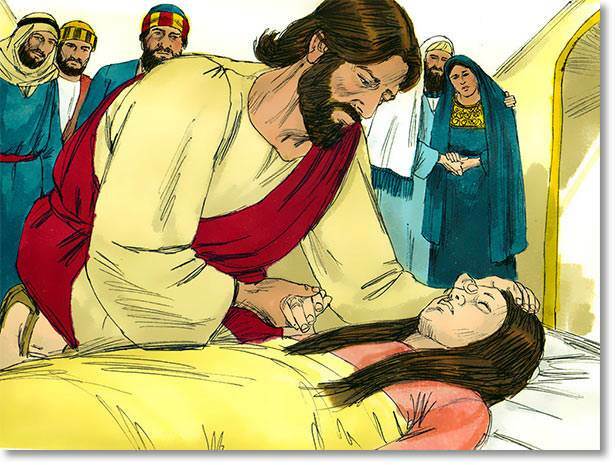 Jesus went over to the bed where the little girl lay, so white and still. He took her hand in his. The little girl’s eyes opened. The color came back to her cheeks. She sat up and looked in surprise at the kind Friend who was leaning over her. Jesus turned to the father and mother. “Give her something to eat,” he said; for he knew that was all she needed now. Jesus went on his way, but he left behind him a happy little girl and a thankful father and mother. Jesus, their Friend, had helped them in their trouble.